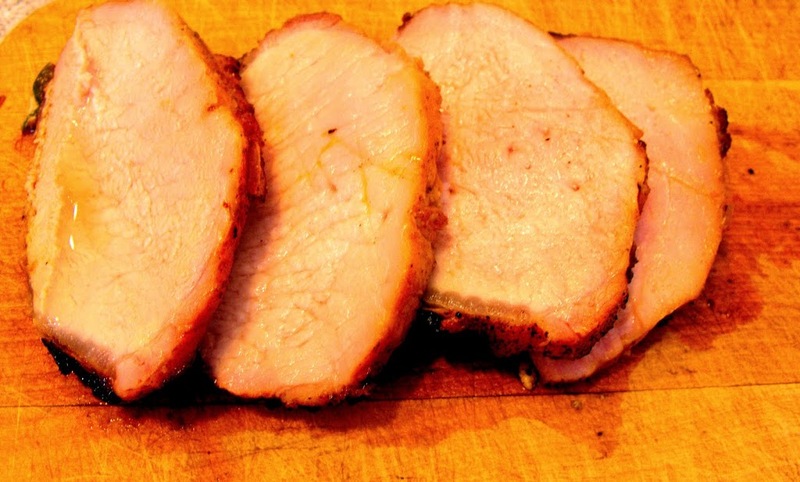 Marinated pork tenderloin, delicious tender and juicy everytime. It has been a hot sticky mess this summer. Grilling has not been at the top of our priorities. Who wants to be standing over a steamy hot grill when you could be sitting in a nice air-conditioned house? It is silly how we in the north complain all winter long about how we can’t wait for summer to come and then when summer finally gets here all we can do is complain how hot it is. Well, today was not one of those days that we complained about the heat. It was a perfect summer day. One of those days that you would like to spend the whole day outside. A perfect day for grilling… And since we had a pork tenderloin begging to be grilled we had to fire up the grill. I like to marinate pork that is going to be grilled. It gives it a wonderful flavor and is so effortless to do. Just throw everything into a Ziploc bag and you are good to go. The smoky flavor that the grill give the meat; what more could you ask for! That is what I call deliciousness!! 1. Mix all the above ingredients together in a bowl and set aside. 2. Place the pork tenderloin into a 2 gallon Ziploc bag. (I cut the tenderloin into 2 pieces so that it would cook a little faster. 3. Squish the bag around so all the flavoring work through the meat. 5. 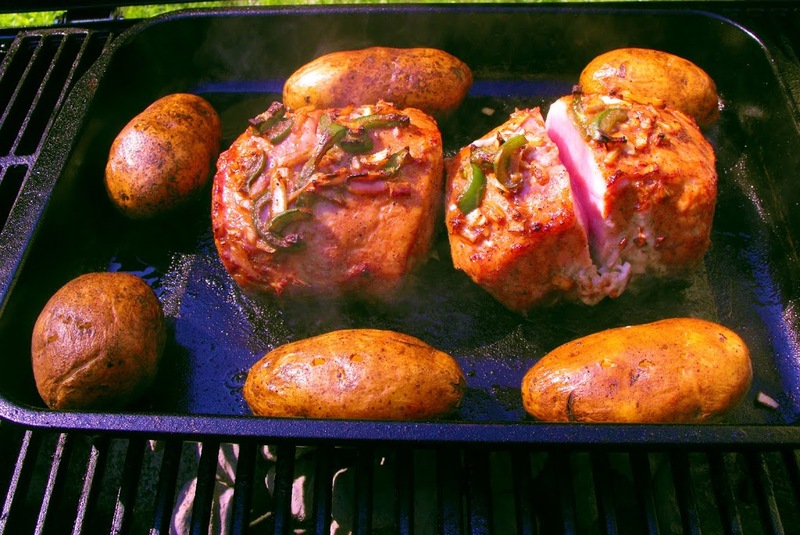 Once your grill is hot set the tenderloin in a pan and baste with the marinade that is left in the bag. (Save some of the marinade so that you can baste the tenderloin as it cooks on the grill. We made pork tenderloin this weekend too! Your marinade sounds tasty and I love that smokiness from the grill!